Please contact Jennifer Charters with any questions, concerns or catering requests. More information and campus catering order forms. 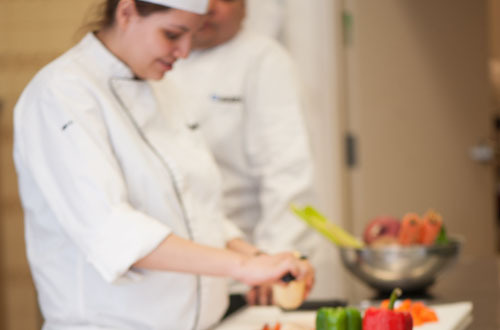 If you’re a foodie—or simply love good food—there are culinary events at Saskatchewan Polytechnic you won’t want to miss. Unique dining opportunities are presented by Food Services in collaboration with students from the School of Hospitality and Tourism. Learn more about these programs and how to apply.